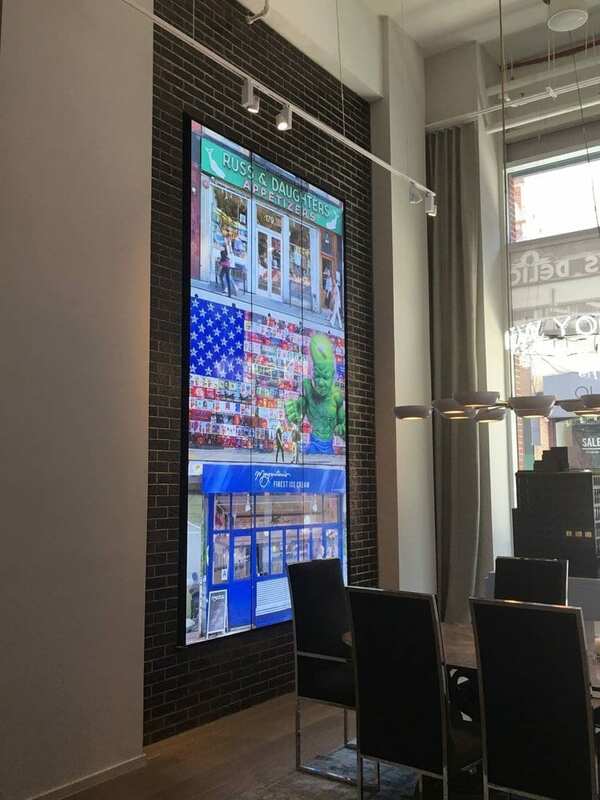 Hoping to secure prospective residents and drive sales, the 196 Orchard St. building’s sales office (180 Orchard St.) wanted to install an informational interactive video wall display that would mimic the modern, luxurious aesthetic of their soon-arriving complex. MetroClick created a web application for a Microsoft Surface tablet that showcased building maps, available apartments, neighborhood guides, and additional information directories. Sales people could navigate the application from a Microsoft Surface tablet, which in turn mirrored onto our captivating 164″ LifeWall Display. 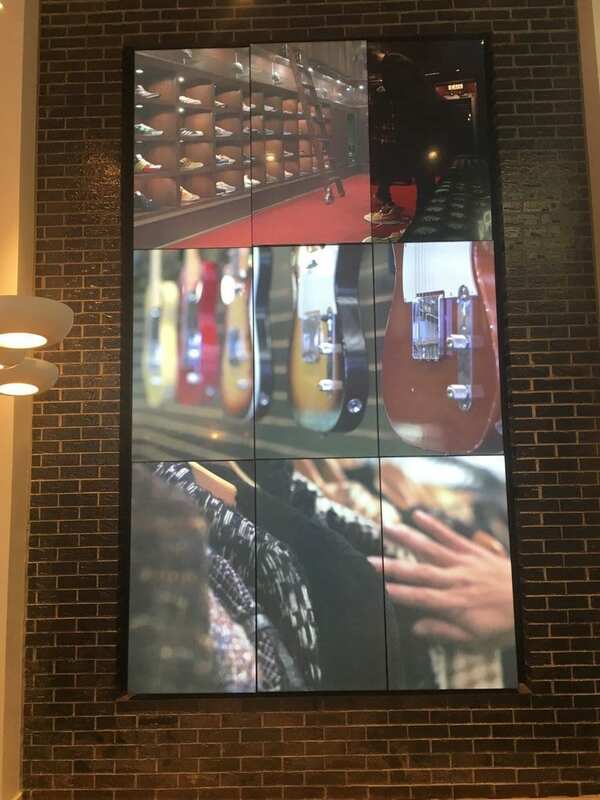 By playing to the creative energy of the historic Lower East Side, the video wall display allured viewers with original content that was both informative and visually captivating. The LifeWall prefigured the contemporary grandeur of the building itself in its massive display. With MetroClick’s LifeWall, our clients reported successfully exciting their customers about the prospect of life as a 196 Orchard resident.